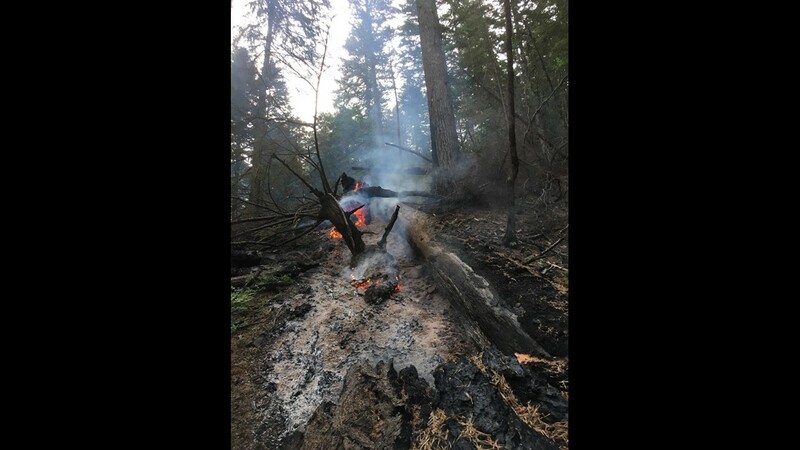 Firefighters responded to the small fire, about a half-mile east of the Herman Creek Trailhead, early Tuesday morning after someone reported seeing a glow in the area around 2 a.m. HOOD RIVER, Ore. – A hot spot from the Eagle Creek Fire flared up in the Columbia River Gorge, the U.S. Forest Service said. Crews extinguished the small fire, which was smoldering in some downed trees. They left a hose and pump at the site to run water on the area, said Rachel Pawlitz with the U.S. Forest Service. Firefighters contained the Eagle Creek Fire in November 2017 after it burned more than 48,000 acres in the Columbia River Gorge and Mt. Hood National Forest, but the fire has not been declared out and fire officials say hot spots are still possible. A hot spot from the Eagle Creek Fire flared up east of the Herman Creek Trailhead. “Heavy fuels and organic material known as duff can hold heat underground over winter and flare back up after a period of warm dry weather,” said Pawlitz. The Forest Service monitored a hot spot earlier in the year, but it was surrounded by snow and eventually went out. The spring weather in the gorge has been “unusually dry,” officials say, and they expect a hot, dry summer, meaning there is potential for more flare-ups. Hot spots and dangerous conditions are among the reasons many trails are still closed in the gorge. 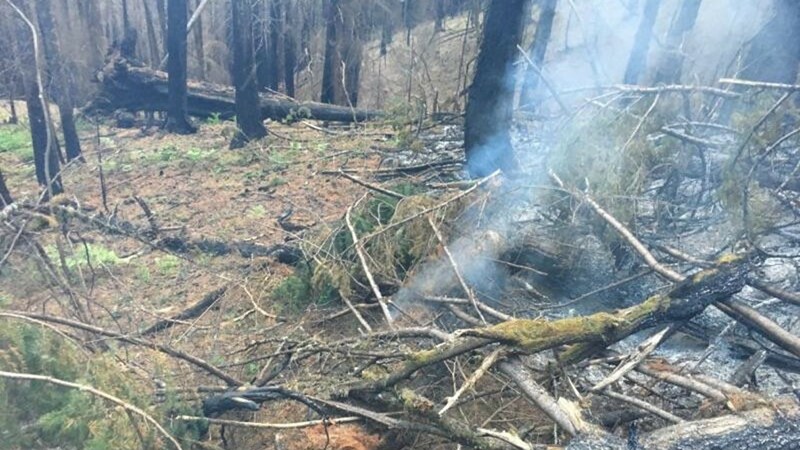 Approximately 121 miles of national forest trails were impacted by the fire. The Vancouver, Wash. teen who started the fire by tossing fireworks into the forest on Sept. 2, 2017, was ordered to pay $36.6 million in restitution after he pleaded guilty earlier this year. KGW's Brian Brennan contributed to this report.